The Bosden Dental Practice operates from our centrally-located premises. Whether you are coming by car or prefer to use public transport we are easy to find and have plenty of parking for our patients. We are a very accessible dental surgery close to Marple Bridge with wheelchair friendly premises. As a family run dental practice, we pride ourselves in offering a caring service to all our patients from our comfortable and modern surgery. 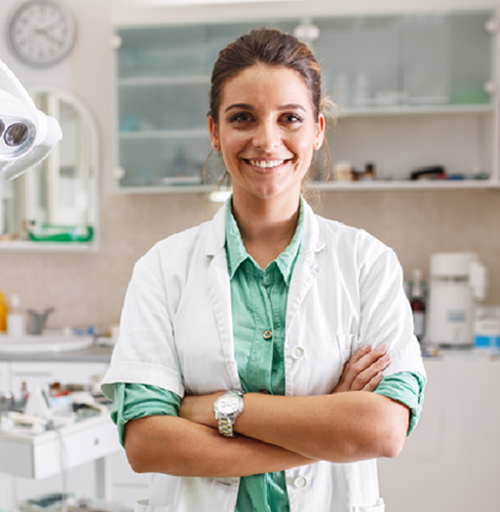 Our team of highly qualified dental nurses, hygienists and dentists attend regular courses in order to keep up to date with the industry and help us offer the best customer experience possible. We offer a wide range of treatments including general dental treatments, specialist dental treatments – we are one of the few dentists in and around Marple Bridge who offer specialist periodontal and orthodontist treatments – and cosmetic dental procedures. If you would like to discuss your treatment requirements, please give us a call we will be happy to help. We believe that a preventative approach is the best one and our team will be happy to help you with expert advice that can improve your oral health routine. This can potentially avoid any dental issues becoming more serious. If you are new to the area or are looking to move to a Marple Bridge dentist who can offer you the services that you need then why not give us a call to make an appointment. We can start with a check-up and then discuss any further dental treatment that you may require.